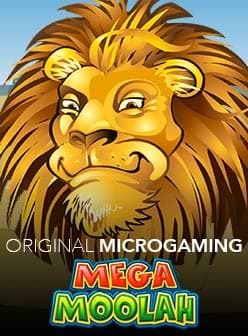 With a Middle Eastern flare, Wild Bazaar from Netent is a 5-reel and 26 fixed paylines slot featuring stacked wilds, colossal wilds, linked wilds and x2 multiplier wilds. Absorb the atmosphere as you find yourself in an open marketplace with prizes jumping off the shelves of up to 150 coins per payline. The Middle East is a region rich in culture and tradition and is it any wonder that the theme is popular with slots players? The graphics are cartoon-like, colourful and in the case of the symbols – simple! That's because the upper-value symbols consist of 4 treasure chests: red, green, blue and pink. The lower-value symbols consist of 4 pieces of jewellery whose colours correspond to the treasure chests: red, green, blue and pink. The audio effects have a rich Middle Eastern flavour and there are additional sound effects designed to build anticipation and help you to celebrate a win or unlocked feature. The wild symbols have the ability to substitute for all other symbols and excitingly enough there are four different ones: linked, x2 multiplier, colossal and stacked. The wilds can form their own winning payline that can credit you 20, 40 or 150 coins with 3, 4 or 5 on them. By collecting a payline win, one of the four above-mentioned features are unlocked which corresponds to the colour of the four upper-value treasure chests. The features unlock quite regularly guaranteeing that you don't need to wait around for dozens or even hundreds of spins. A payline win of red treasure chests unlock the stacked wilds during which time wilds appear fully stacked to cover all four rows of a reel. A payline win of green treasure chests unlock colossal wilds where all wilds appear as a 2x2 sized symbol. A payline win of pink treasure chests unlock the linked wilds where all symbols between the right most and left most wilds on the same row become wild. A payline win of blue treasure chests unlock x2 multiplier wilds where all wins containing a minimum of one wild has a x2 multiplier applied to it. 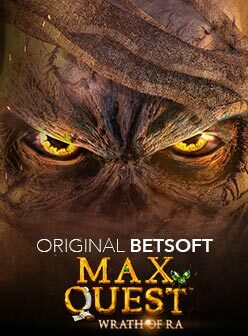 Released in October 2018, Wild Bazaar slot has an RTP of 96.15% and can be played with wagers commencing at €0.20 and ending as high as €100. The slot has a medium to high volatility and can be played on mobile, tablet and pc. The game follows you anywhere with an Android or iOS device, which can be found at one of our recommended casinos.